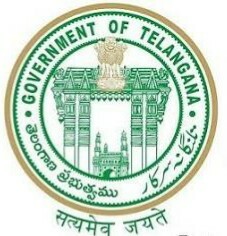 Telangana Govt. New SC Study Circles Start in Adilabad, Medak and Ranga Reddy Districts. Bank Exams Coaching, Groups Exams Coaching and Commutative Exams Preparation Coaching Centers. TS Scheduled Caste Development Department – Education - Opening of New Telangana Study Circle branches at Adilabad, Medak and Ranga Reddy Districts in Telangana to offer Coaching Programmes for Banking and Group services for SC students – Orders – Issued. TS Scheduled Cast Development (EDN) Department G.O.Rt.No.381 Dated:06-07-2016. 1. From the Director, SCDD, TS, Hyd., / Honorary, Secretary to T S Study Circle, Hyd. a. File bearing No.TSSC/4/2016 in respect of Adilabad district. b. File bearing No.TSSC/301/2016 in respect of Medak district. In the references read above, the Director, Scheduled Caste Development Department / Honorary, Secretary to TS Study Circle, Hyderabad, Telangana State, Hyderabad has submitted three proposals in the references cited for opening of new Study Circle branches at Adilabad, Medak and Ranga Reddy district in the year 2016-17 respectively, as the budget is sufficient and also available to run the coaching programmes in the districts during the current financial year 2016-17 . 2. Government after careful examination of the matter, hereby permit the Director, Scheduled Caste Development Department / Honorary, Secretary to TS Study Circle, Hyd., Telangana State, Hyderabad to start the New Study Circle branches at Adilabad, Medak and Ranga Reddy districts with an estimated cost of Rs.90.00 Lakhs (Rupees Ninety lakhs only) to each District for conducting programmes in the Academic year 2016-17. 3. Good quality washing shall be imparted to the candidates and unnecessary expenditure shall be curbed. 4. The Director, SCDD, TS, Hyderabad / the Secretary, TS Study Circle, Hyderabad shall take immediate necessary action accordingly. when is the application process started.for sc studycircle in rangareddy,can u tell me sir it's urgent.